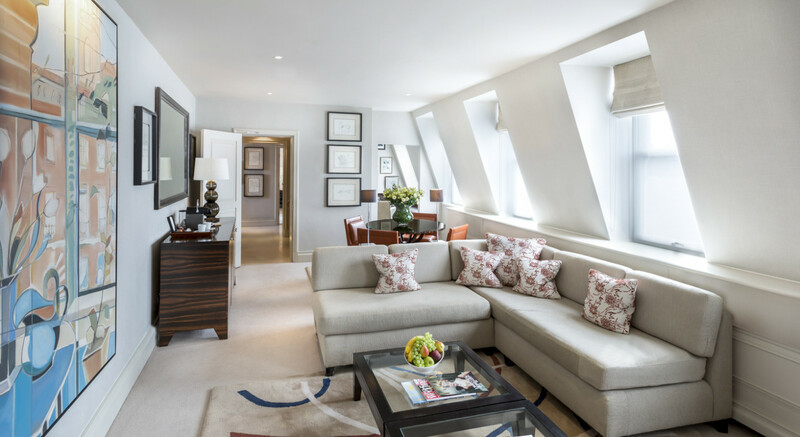 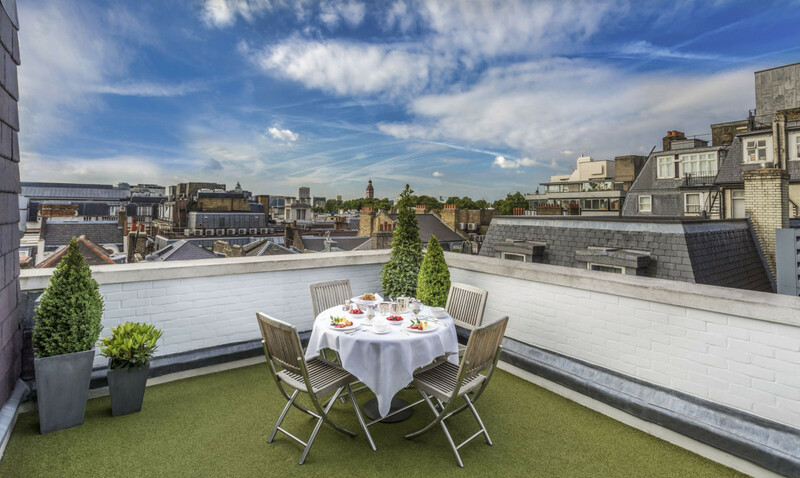 Experience London the right way with a stylish suite and rooftop dining. 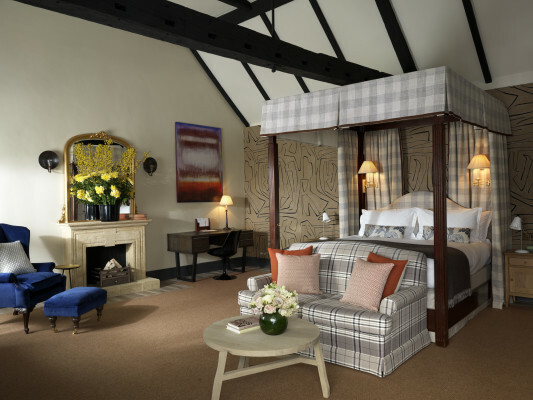 Built in the 17th Century as a private residence, this swanky hotel allows guests to indulge in “a truly quintessential English experience.” Enjoy fine seasonal cuisine in its elegant restaurant or take in a time at the stunning wine cellar. 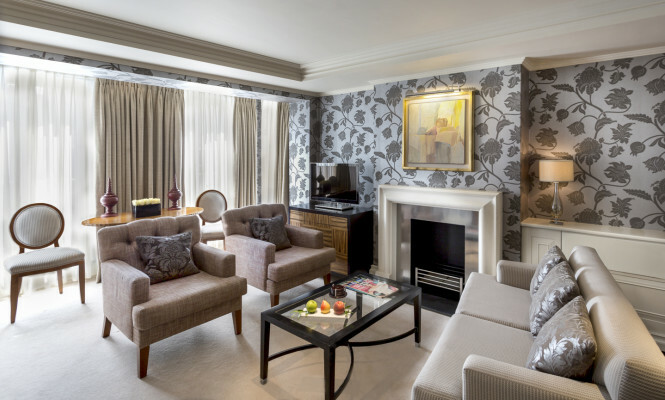 Tucked away in the heart of St. James's rests The Stafford London, one of the last remaining bastions of Great British hospitality. Having been a hotel since 1912, The Stafford London is comfortable in its own traditional foundations, yet is the epitome of informal luxury for those who need not justify enjoying it. 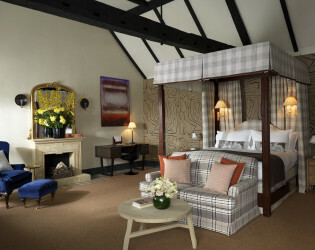 A compelling history lies beneath The Stafford in its 380-year-old wine cellars, built in the 17th Century by Lord Francis Godolphin, and used as an air-raid shelter in WWII. Today, along with a fascinating informal museum of artefacts left behind in wartimes, the working cellars house up to 8,000 bottles of the finest wines, including many rare and precious vintages. With one of the most complete wine collections in London, it's not surprising that a wide range of vintages in half bottle and imperial sizes are on offer alongside an impressive selection of vintage cognacs, armagnacs, ports and single malt whiskies. 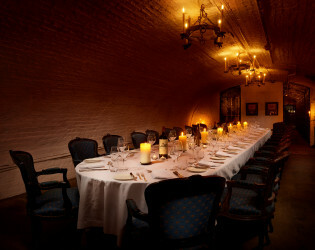 It is impossible to discuss The Stafford's wine cellars without mentioning Master Sommelier Gino Nardella. His experience is vast, from his childhood spent on the family owned vineyard in Southern France to over 40 years accumulated experience as a Sommelier. 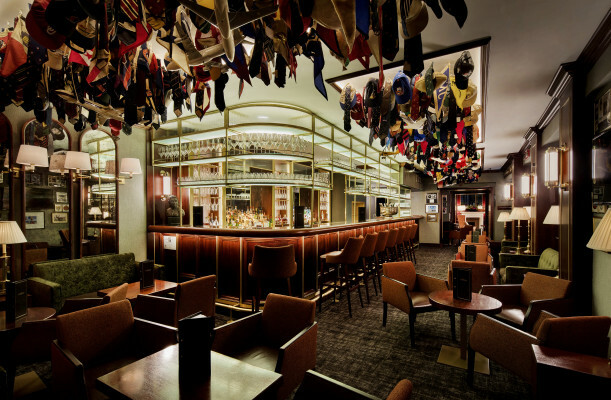 In addition to nurturing the thousands of bottles in the hotel's cellars, Gino oversees the wine service in The Stafford's restaurant. 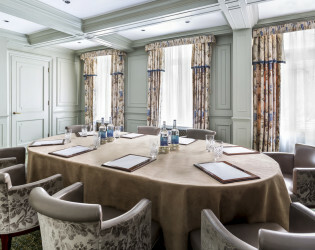 Working alongside Executive Chef Carlos Martinez, Gino provides complementary vintages for private dining menus as well as giving tips to would-be connoisseurs. 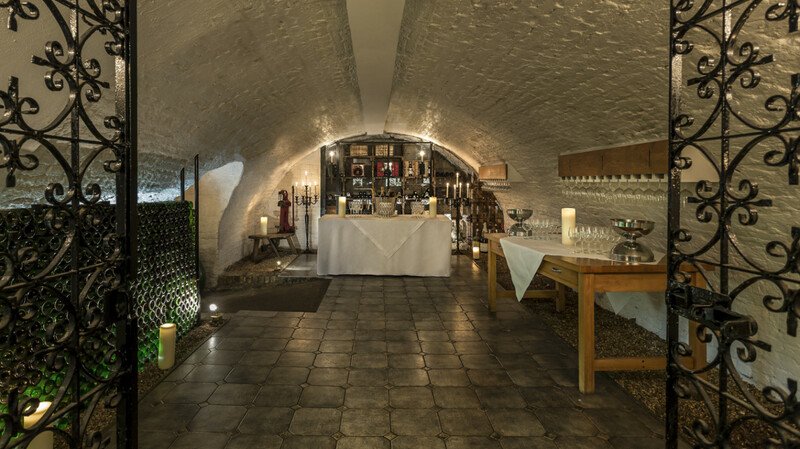 The Stafford's vaulted wine cellars are a perfect backdrop for a wine tasting and offer an enlightening experience for wine lovers of any level. The candlelit tour takes guests through the entire collection, with Gino Nardella on hand to answer any questions. 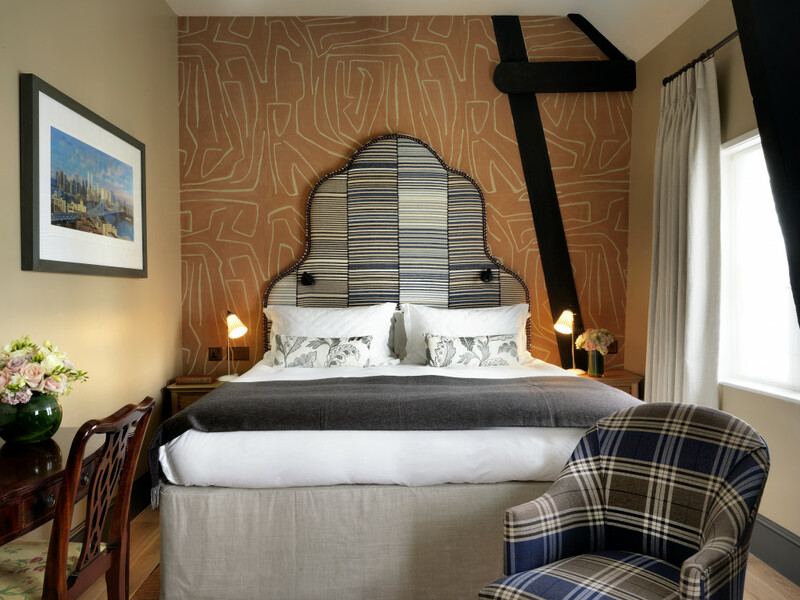 “I enjoy hearing our guests impressions of the place and, I admit, showing it off a bit as it inspires a tremendous amount of awe and excitement,” says Mr Nardella. 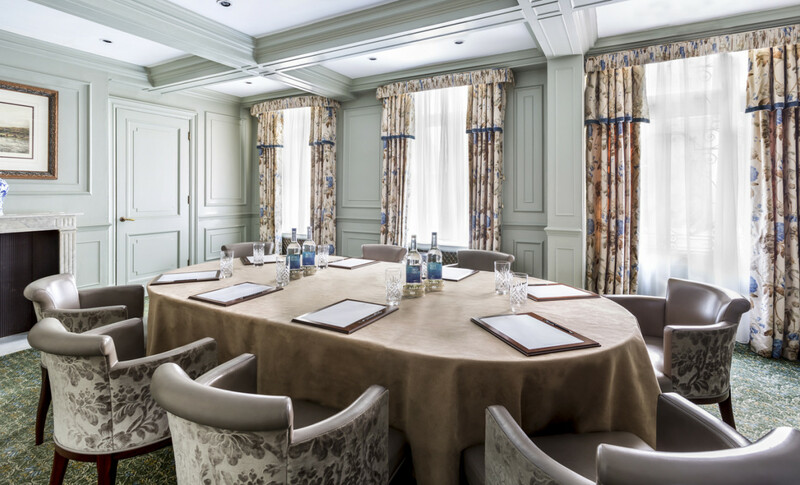 Tasting at The Stafford can be tailored to suit each group's preferences – formal or informal, for absolute beginners through to advanced; guests can even specify country, region or grape-type. 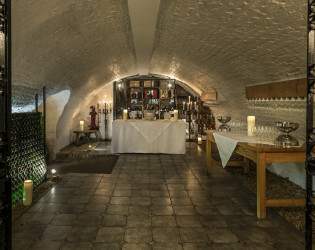 The tasting area has been carefully designed to ensure that the qualities of each wine can be observed, smelt and tasted – with special lighting and temperature controls. 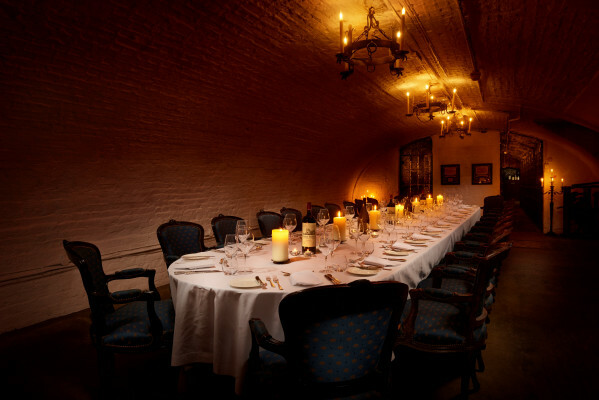 In addition, the wine cellars can also be hired for private dining groups of up to 44 with the atmospheric candlelit surroundings proving particularly popular for intimate wedding parties. 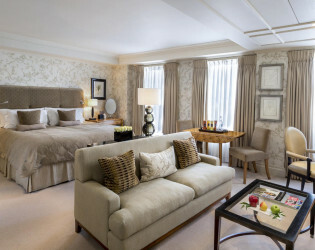 66 rooms and 38 suits. 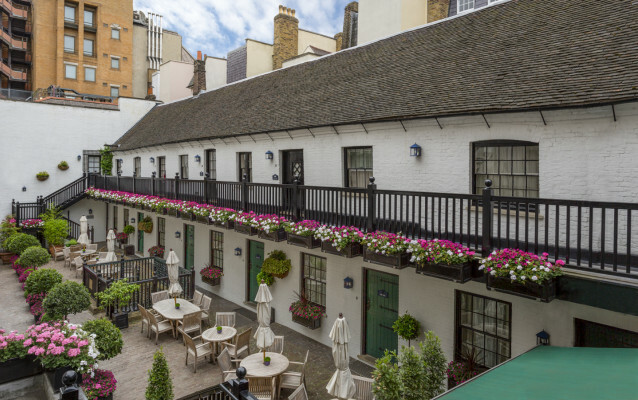 The hotel comprises 104 rooms and suites, including the all-suite Stafford Mews building, which opened in May 2007. 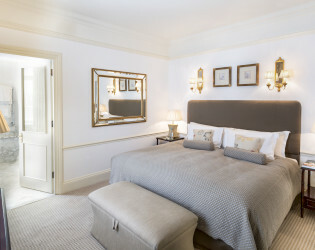 Dining options including The Lyttelton restaurant, private dining rooms, the Wine Cellars, and the award-winning American Bar further enrich The Stafford experience, and all within strolling distance of London Landmarks Buckingham Palace, Trafalgar Square, the National Gallery and Green Park. The hotel is situated close to the theatres of the West End and the shopping districts of Knightsbridge, Sloane Street and Regent Street. 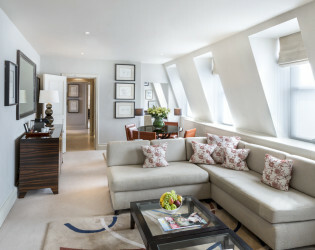 The Stafford radiates a unique air of classic Englishness in an increasingly international capital, and is proud to be one of just a handful of hotels in London to achieve AA Red Star status. 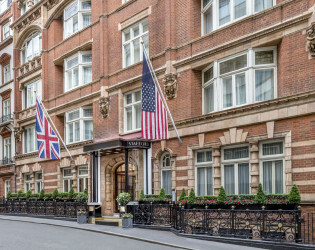 The Stafford is steeped in history and character, from the 380-year-old working wine cellars with underground corridors to St. James's Palace, to the beautifully-restored Carriage House rooms and suites in the 18 th century stable courtyard. 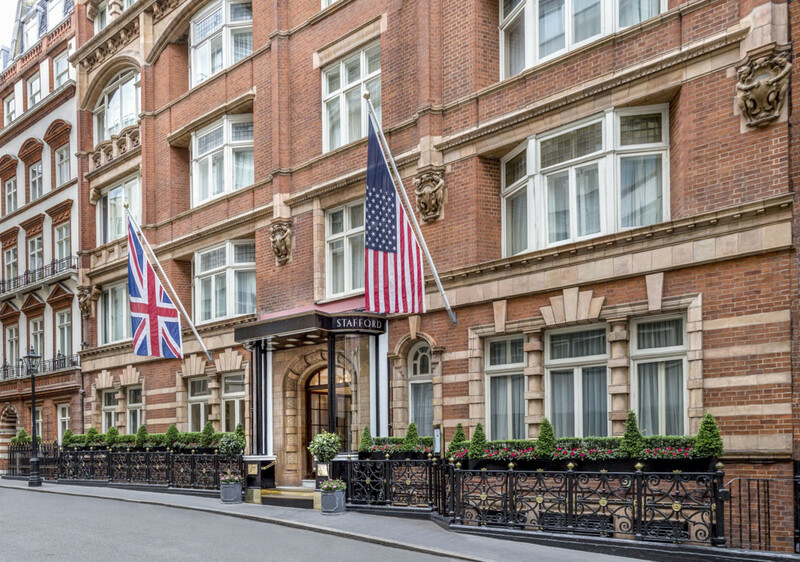 The Stafford radiates a unique air of classic Englishness in an increasingly international capital. 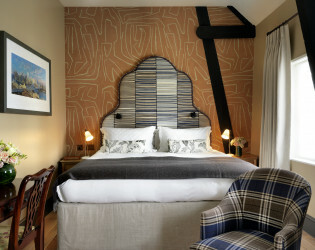 The Lyttelton restaurant, named after former residents Lord and Lady Lyttleton, has been designed to evoke the intimacy of dining in a friend's home though remaining elegantly classic with an ivory and gray colour palette, rich floral fabrics, unique artwork, and custom-crafted chandelier. Menus feature Executive Chef Carlos Martinez's take on British cuisine with a Mediterranean twist. 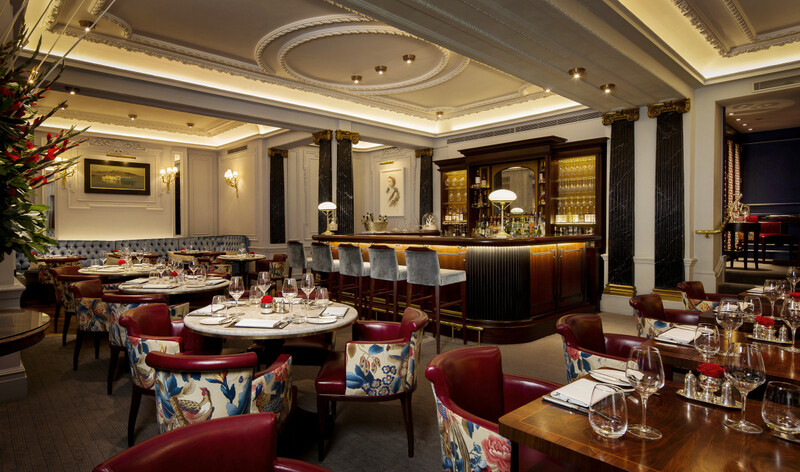 To further showcase Chef Martinez's culinary creations an "open stage" custom-crafted marble buffet table presents diners with a changing display of distinct dishes using the finest local and seasonal ingredients. The American Bar at The Stafford is an institution in its own right. 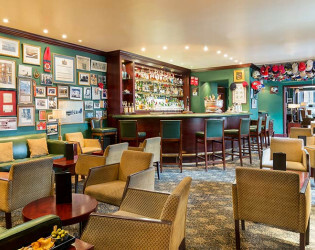 This lively gathering spot has, over the years, developed into a complete history of the hotel itself, decorated with thousands of items of customer-donated memorabilia from around the globe. 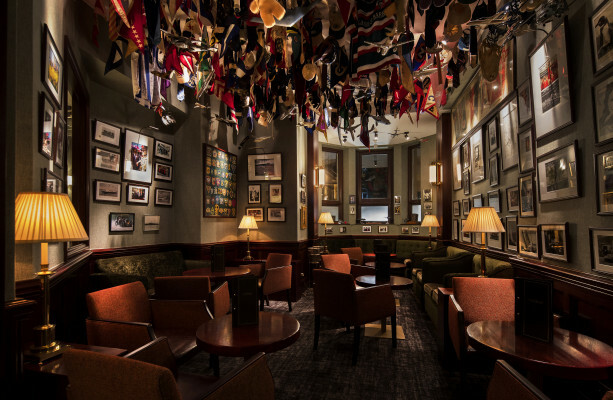 Today, every available wall and surface is crammed with an intriguing collection of artifacts, knick-knacks and signed celebrity photographs. 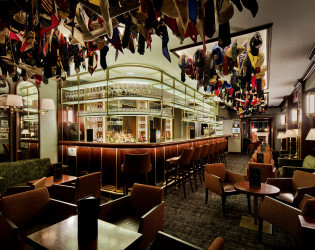 Even the ceiling is hung with a colourful collection of club ties, sporting mementoes and baseball caps. 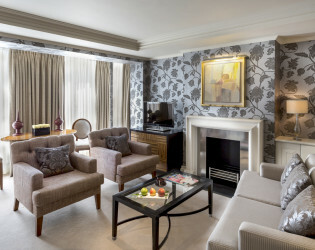 The Lounge offers a relaxed and inviting setting for Afternoon Tea or a light daytime meal. 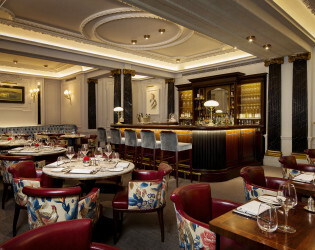 The décor of the recently-refurbished lounge echoes that of The Lyttelton, making it an ideal spot for pre or post-dinner cocktails. 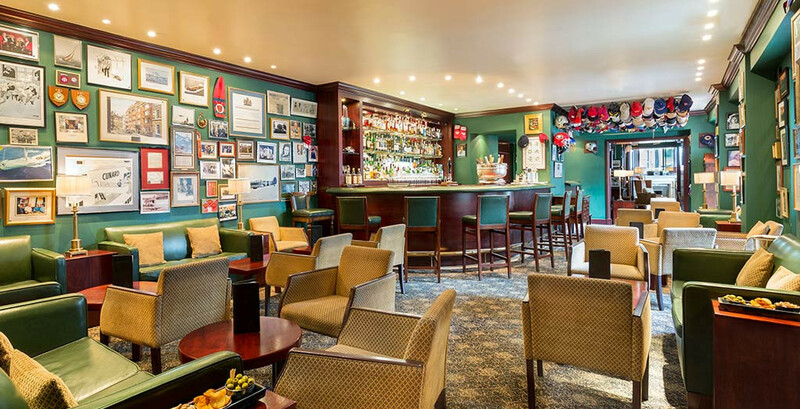 Breakfast, lunch, and dinner are served daily; cocktails are on offer throughout the day. 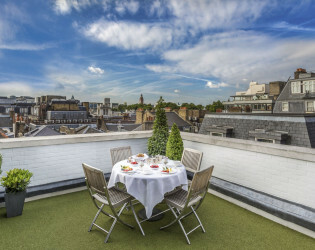 Afternoon Tea is served from 3.00pm to 6.00pm. The Stafford London is comfortable in its own traditional foundations, yet is the epitome of informal luxury. 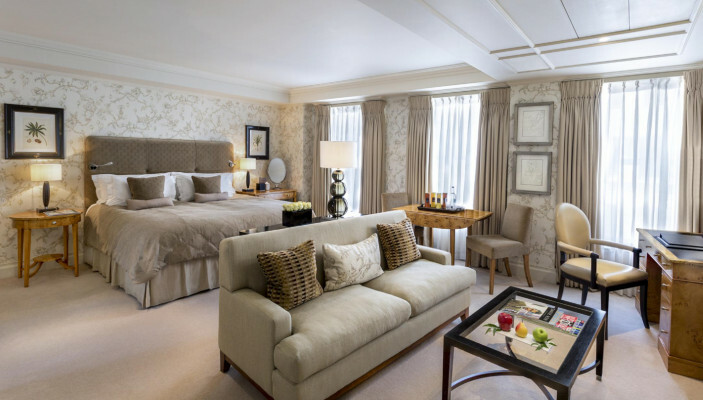 Mews master suite. 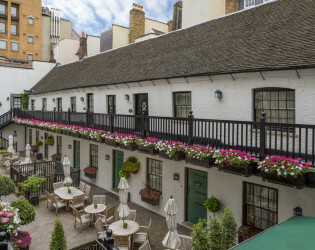 The hotel comprises 104 rooms and suites, including the all-suite Stafford Mews building, which opened in May 2007. 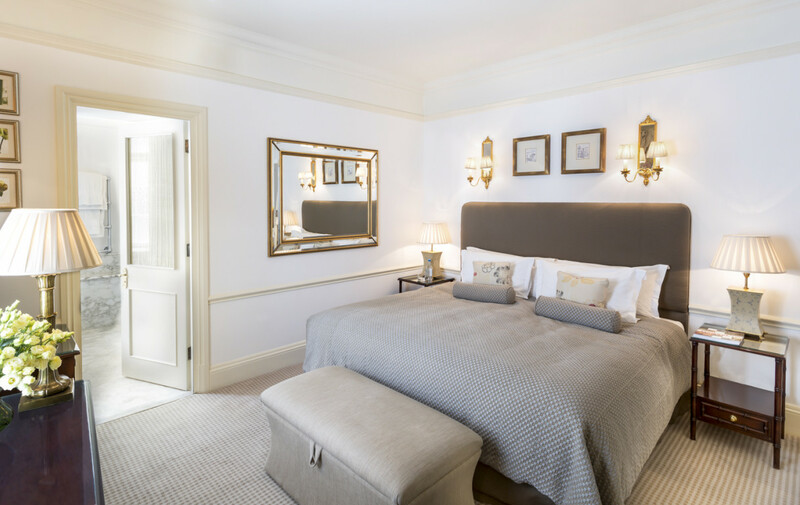 Basking in a natural daylight, the Argyll Room has its very own features including an original Victorian fireplace, cornices and panelling. 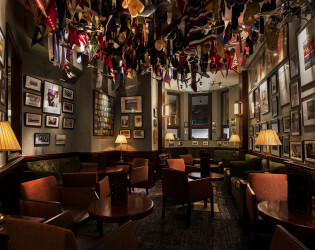 The American Bar: Every available wall and surface is crammed with an intriguing collection of artifacts, knick-knacks and signed celebrity photographs.